Francisco Deformes is familiar with Cornwall having played for now defunct Mounts Bay. Cornish Pirates have signed Chilean international prop Francisco Deformes. 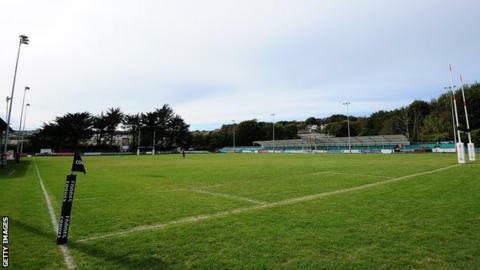 The 34-year-old returns to Cornwall a decade after playing for now defunct Penzance-based side Mounts Bay. Deformes, who has appeared five times for Chile, penned a deal at the Mennaye until the end of the current season and has also played in Spain, Italy, New Zealand and the United States. "He will add experience to our front row resources," Pirates boss Ian Davies said. "When we realised Francisco was available (forwards coach) Alan Paver spoke to him and he was keen to come across to the UK," Davies added.